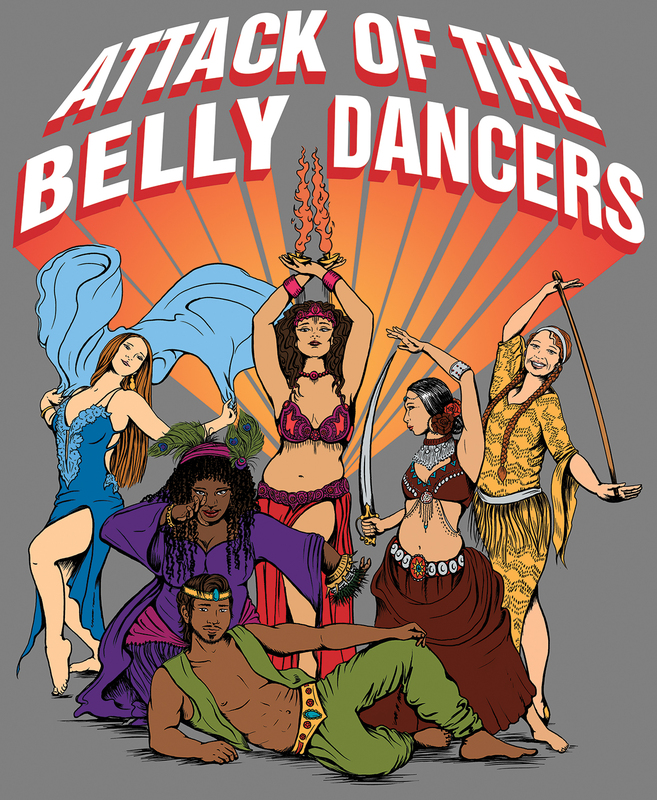 Art for tshirt design for the dance show: Attack of the Bellydancers – a superhero-themed bellydance event. How fun was this?! 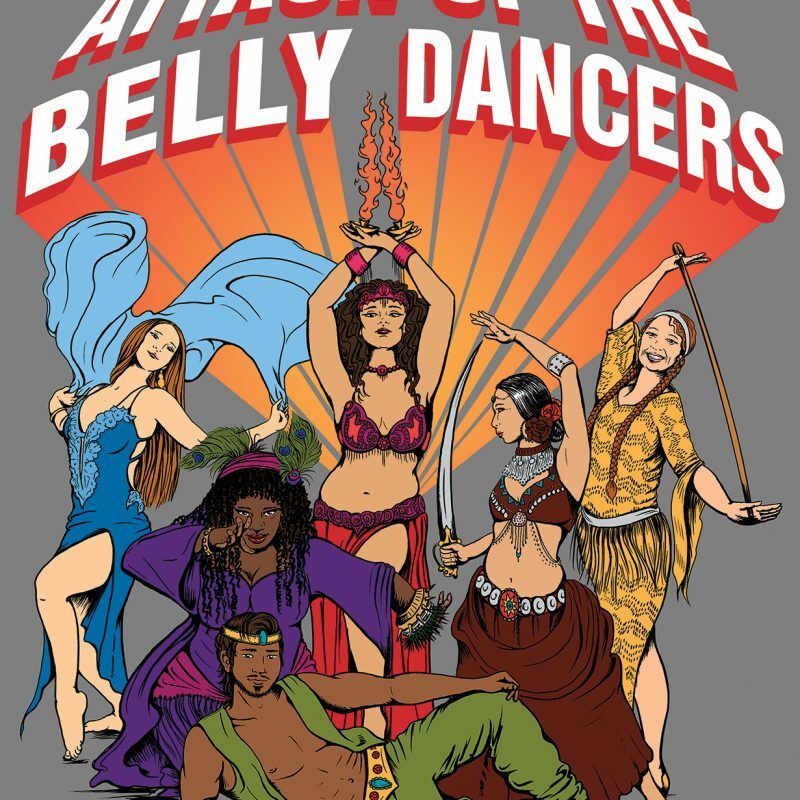 (SO fun) Some of the dancers are fashioned after a few of the performers, too.